Many people seem to get tax avoidance and tax evasion confused. One is illegal and the other is perfectly legal. Tax evasion is a case of an individual or corporation being dishonest, intentionally not paying taxes. Tax avoidance is a case of an individual or corporation leveraging the laws as they are written to pay as little tax as possible. In cases where legal tax avoidance occurs much of the blame is better placed on a failure of the tax system than a failure of the individual or corporation to pay taxes. Let’s use a simple example. Let’s take our old example expat named Sven. Sven has long dreamed of buying an expensive $1000 digital camera. In doing so, he has a few options. He can actively evade taxes to pay no tax, avoid taxes by leveraging a knowledge of our tax laws or pay the maximum amount of taxes. How? Let’s take a look at 3 scenarios. Sven takes a trip to New York to visit some friends. While he’s there, he purchases a digital camera for $1000. When he arrives on island he fills out his paperwork, goes the “something to declare” line and pays his 25% tax, minus any reduction he gets. Lets assume he purchases other items and uses the reduction on those so he pays the full $250 for the camera. In this case, Sven makes the same trip but on arrival to the island he sneakily tries to hide the camera, makes no declaration and walks through the “nothing to declare” line hoping he doesn’t get caught. In this case, if successful, he pays no tax, if not, he’ll have to answer to customs. Let’s assume he manages $0 tax because he is willing to break the law and dishonestly evade his tax obligations. In this case, Sven purchases his camera but instead of bringing it back with him, he puts it into a box and ships it to the island. He knows that thanks to the custom’s tariff laws he would only pay 8.5% for both import via courier or import via an importer. In this case, he pays a tax of $85 so he effectively avoids paying the full rate in a perfectly legal way. He will have to pay for shipping, but overall it is likely he would come out having saved vs. paying the full amount at the airport. So, here we have 3 cases. One is blatantly dishonest and illegal. The next is paying as much as possible and the last is leveraging an understanding of the tax laws to cut the rate. Here’s the question. Is Sven wrong or being dishonest in shipping in his camera? He’s following the law as stated so he’s certainly not breaking the law. The problem with tax avoidance in the case of Bermuda’s duty tariff system isn’t expat Sven or Bermudian Johnny taking advantage. It is that the tax system is so complex that it creates a special kind of tax on the uninformed. Those who understand the system have an advantage over those who do not. Further, it creates bureaucracy and waste in terms of managing the complexity. This is the problem with tax systems not just in Bermuda, but globally as well. Politicians and the corporations who lobby them create tax systems either to provide themselves an advantage or to íncentivize certain activities and discourage others. We see it in our local tax systems as well as in global tax systems. Unfortunately tax systems are far from simple. In the case of Bermuda’s duty tariff system, much could be done to simplify it. In the case of global taxation and Bermuda’s role in it, that is unfortunately a complicated matter with significant implications for global trade likely left for another article. I’ve received a request from a reader for my thoughts on the Royal Gazette article “Bermuda has 102 ultra wealthy residents”. To be honest, I’m rather surprised and humbled that someone bothers to read my drivel, thus it is hard to turn down such a request. Unfortunately there are many ways to interpret such an article so it raises the question of where to begin. To start off with, the article is a great example of classic media bias. As a for profit media outlet, you can presume that they will opt to sensationalize a topic to drive more people to read it. This is the very first thing that jumps out about this article. It is titled “Bermuda has 102 ultra wealthy residents”, and the opening sentence highlights this with more detail. Then, the rest of the article is about a supplement booklet highlighting Bermuda’s position as a worthy location for trust business. The title doesn’t fit the content of the article because most people only really focus on the provocative headlines. Newspapers make headlines provocative because, very simply, they are what drive advertising views and subsequently fund the organization. If you wonder why the newspaper often makes a big deal out of nothing, whether its is for the incumbent or for the opposition, this is usually why. Newspapers need to be keenly aware of the bottom line if they’re a private enterprise or they’ll cease to be in business. The next thing that jumps out about the article is the response. Most people only read headlines and thus, if you look at the comments, they are dominated by a discussion of the ultra wealthy with no discussion of Bermuda’s trust business. The idea that there are individuals who are super rich provokes an emotional response from readers. The ever widening gap of inequality between those who can comfortably afford to live on island and those who struggle causes animosity to any display or suggestion of wealth. Unfortunately such an attitude betrays a misunderstanding that Bermuda likely has no homegrown billionaires and Bermuda’s ultra wealthy residents are primarily here because they choose to be, not because it is crucial to making them rich. Bermuda isn’t a place that individuals come to make billions, they come here to either enjoy their wealth or leverage it to make more. This leads to another issue that appears in the comments. There are some who believe the narrative that Bermuda is a tax haven. They believe that people come to Bermuda to evade taxes. Bermuda is not a tax haven. Bermuda is not a place that promotes tax evasion, it is a place that promotes tax efficiency. There is a subtle but crucial difference between the two. Tax evasion involves breaking the law to avoid paying taxes. Tax efficiency involves studying and understanding the tax laws well enough to figure out how to pay as little as possible within the law. The reason being is that governments tend to use taxes as a means to encourage certain activities and discourage others. Inherently when you use taxes as such a tool, people figure out ways to leverage the laws to their advantage. Finally there is the actual focus of the article, Bermuda’s trust business. Despite 95% of the article focusing on this it readily seems to be glossed over by most. It is likely that few really understand what a trust business is and why there is a substantial difference between Bermuda registered trusts and Bermuda resident wealthy individuals. So it begs the question of where to begin? Media bias. The impact of wealthy residents. Tax evasion vs. tax efficiency. Or finally, what are trusts and why do they matter to Bermuda? Should the immigration process not apply equally to all non-Bermudians? In one breath the “President of the BIU” talks of putting Bermudians first and in the next believes that it should be acceptable to flout the immigration process to benefit a non-Bermudian. There are many on this island, this writer included, who believe that the immigration process does not work as well as it should. There are cases where employers flout the rules of the immigration process to preference foreigners over qualified Bermudian applicants. It happens and it shouldn’t. Should the immigration process not apply equally to all non-Bermudians? Applications should be submitted no less than one month and no more than three months before the current work permit expires. “The day before his work permit expired” is not within the clearly stated requirements. A qualified Bermudian should be given the opportunity to apply prior to the work permit extension is granted. If the application is submitted late, then the application should fall to the lowest priority behind all other applications submitted on time. During that time, the work permit holder shouldn’t be able to work due to the failure to apply within accordance of the requirements. It is understandable that Mr. Tweed has Bermudian heritage, however he is not Bermudian. Perhaps he should be offered a pathway to status given his heritage, but until that occurs he should not be entitled to special treatment. At a minimum, the due process of our current system should be followed to confirm that no qualified Bermudian exists for the role. Too often it is not and it is to the detriment of Bermudians that the immigration process does not work as it should. The post should be advertised in The Royal Gazette and listed on the Bermuda Job board. Enough time should be allowed for a Bermudian to apply. If a qualified Bermudian applies, they should be interviewed. They should be given fair consideration and if not selected justifiable reasons why they were not selected for the role. The “President of the BIU” complains that nothing has changed and the approval should occur in a week or two. How does he know there is no qualified Bermudian that could want to apply for that job? That is the entire purpose of the renewal process. The BIU is making a mockery of the immigration process. They are making a mockery of every qualified Bermudian, spouse of a Bermudian or PRC who has attempted to apply for a job only to get passed over or ignored in favor of a non-Bermudian. Anyone who is currently qualified but out of work and believes they have been passed over in favor of non-Bermudians should be offended, as should anyone who believes that that sort of situation should not happen. “The President of the BIU” is making it abundantly clear that they are a political organization in the guise of a labour union. They only pay lip service to putting Bermudians first. The BIU says they represent Bermudians and speak on behalf of workers and yet they openly support flouting the immigration process when it suits their political aims. If you are a Bermuda Industrial Union member is this truly what you stand for? Is this what you represent? Do you agree that the immigration process should not apply equally to all non-Bermudians? That qualified Bermudians should be given a fair chance to apply for roles held by non-Bermudians? Jonathan Starling, of the now defunct Catch a Fire blog was lamenting on facebook having shut down his blog due to potential conflicts of interest in his role as Executive Director of Greenrock. I do miss writing on my blog, Catch-A-Fire. I miss writing about current events, and such, and I think the blog, and the others out there played a key role in spurring political debate and awareness. The ‘golden age’ of Bermuda blogging is long since over though. When I ceased blogging last October I was one of the only ones still operating. The golden age of blogging existed before commenting was democratized and made accessible. Many blogs existed at a time when comments weren’t possible on the newpapers. This blog was seen as one of the core group who wrote opinions more like editorials and generated a good amount of reasonable discussion as a result. As commenting has risen on sites like Bernews, The Royal Gazette and facebook, the discourse became more like that on BIAW. A stream of vitriol often dominated by the same voices driven by ignorance, bias or a political agenda. The core blogs (real blogs: web logs, not comment forums) used to do their best to police comments to avoid them descending into anarchy. This simply doesn’t happen on comment forums. Every time I bother posting on the Royal Gazette I encounter zealots relentlessly pushing an agenda. Worse, it seems like I keep getting moderated after a while and the zealots are free to keep spewing their vitriol. It grows tiresome. Personally I drift in and out of regularly blogging simply because I’ve resigned to only writing for myself. I do it for writing practice and personal interest only. If I feel like writing, I do, if I don’t, I don’t. I don’t have a particular point and have drifted more in terms of topics. I’d rather be more Bermuda focused and less Bermuda politics focused than I used to be. Part of the impetus to shift away from purely politics is that writing about Bermuda politics has very little impact. Things don’t really change. We have the same two camps of extremists we’ve had for years and moderates in between. Politics is best reserved for the ignorant, the opportunists, the idealists and the independently wealthy. Seeing as I view myself as none of these, much of my own focus has been dedicated on building a company vs blogging. I’m growing in the belief that one can make more of a difference in private enterprise than politics. Will we see a return to a new golden age of blogging? 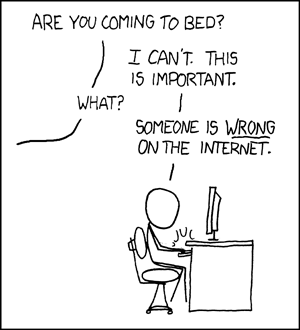 Maybe, though I doubt it until we have a decent forum that can generate reasonable discussion rather than vitriol. Has hell frozen over or is the BIU being hypocritical? Bermuda’s unions used to stand and fight for workers rights. In more recent times that has become less evident. The unions have increasingly been criticized as being less focused on labour and truly doing what is in the best interest of their memberships and more focused on furthering a political agenda. Then there’s this. Mr Furbert also noted immigration issues, saying that someone “very dear to us” had his work permit expire in July and has yet to hear if it will be extended. We hear regularly about the need for Bermudian jobs and putting Bermudians first. We watched as parliament was shut down over the pathways to status initiative. Then, in a labour day speech BIU President Chris Furbert laments the lack of a work permit renewal? Huh? Typically the focus has been on why people on work permits need to stay here so long. Why was a qualified Bermudian not found to replace them? Why hasn’t a Bermudian been trained to fill their role? Why are foreigners being prioritized over Bermudians? These have always been valid questions that need to be asked. We can’t expect that in every case a work permit holder should be replaced by a Bermudian. However, we should expect a rigorous process to ensure that Bermudians aren’t being passed over, discriminated against or disadvantaged unfairly. In cases where a rigorous process has been in place and an individual has made meaningful contributions to our society then a pathway to status should be justified. Typically, the BIU has been one of the loudest voices criticizing work permit holders and it definitely has been a loud voice in criticizing a pathway to status. Put Bermudians first, then focus on foreigners we hear. Make jobs for Bermudians before foreigners we hear. Then, one day, they’re saying we should be putting a foreigner first. Did hell suddenly freeze over or is the BIU giving up all attempts to hide their political agenda? “Even more alarming, however, is the fact that the number of jobs held by Bermudians have declined year-over-year while the number of jobs held by our expatriate brothers and sisters have increased. There is a fundamental problem with this picture. “The socio-economic conditions of the Bermudian people will continue to decline if this trend is not reversed. Our unemployed are losing more and more hope with each passing day. Sigh, this strikes me as either political posturing or an elementary misunderstanding that the private sector is what fuels our economy, not the public one. It is really mind boggling how people fail to understand the jobs expats create. Spending matters, plain and simple. People on island spending money is what drives local business which in turn is what drives job creation in non international business companies. We can’t simply hire everyone into government, though that may be what Mr. Hayward is hoping. Neither can we expect that Bermudians are a fit for all roles in International Business. We need to focus on local job growth and entrepreneurship. To do, it is worth understanding that expat job growth and decline has a huge overall impact on local spending, which in turn is is what drives Bermudian job growth and decline. Of course, the frequent narrative is that it was the “global recession’s” fault, not policy. It would make too much sense that a 30% drop in the expat workforce would indicate that fears of either a “mass exodus” or at minimum, a slow trickle came true. Policy and environment has a huge impact on whether we can attract highly skilled foreign workers. Suggesting that Bermudian jobs should be created before Expat ones are is disingenuous. 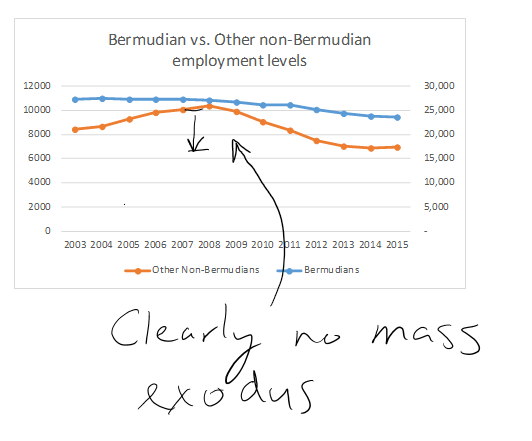 Above is a simple chart of Bermudian vs. Other non-Bermudian employment levels with Bermudians on the right axis and Other non-Bermudians on the left. You can see the huge drop in expat jobs. The big question? What does that kind of a drop do to spending? Remember those approximations of expat spending titled “jobs don’t grow on trees”? Let’s update those and see what impact that kind of job loss does to local spending. Still wondering why the housing market is in doldrums and the “executive apartment” moniker that was a popular label of nearly any rental back in the late 2000s has disappeared? The above chart is why. How has weekly consumption changed? There’s nearly $3.5 million less spent EACH WEEK than was spent in 2008. How many labour dependent jobs do you think $3.5 million in weekly spending accounts for? Let’s break that down just so we can make it obvious. Remember: this represents EACH WEEK of the year. That’s $450,000 less on food and non-alcoholic drink. Let’s ballpark that 20% of that is spent on staffing (I’d actually assume the real number is a fair bit higher),. If so, that’d represent $90,000 each week. How many jobs do you think $90,000 a week could pay for? How about housing? $1.15 million. How many people were counting on rental incomes to help pay a mortgage or to buy things they need? That’s a lot of money, every week, that isn’t being put back into the economy. Household goods and services? nearly $500k. Transportation? $260k. Entertainment? $120k. Every week. Where did all the Bermudian jobs go? They disappeared when the spending massively declined. Then what happened? Why did spending massively decline? Less expats. Then what happens? 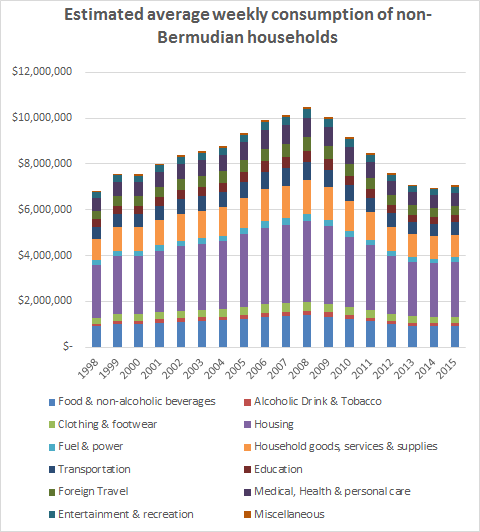 Less spending means less Bermudians employed which in turn means less spending by Bermudians. That again means less jobs for Bermudians. It creates a self perpetuating cycle. How do we break that cycle? Very simple, we need more spending. How do we drive more spending? More jobs, any jobs. If we grow expat jobs then we’ll in turn drive up spending and begin creating more Bermudian jobs which also drives up spending creating even more Bermudian jobs. Want more jobs? Let’s do whatever we can to encourage more highly skilled and highly paid expats to come to Bermuda and spend their money. After reviewing the numbers, I have found that San Francisco’s America’s Cup was seen as a poor investment because it represented an investment in stimulus the city didn’t need. In Bermuda’s case, we are deep in a long recession and the expenditure on America’s Cup represents much needed stimulus to help boost our local economy, create jobs, opportunity and drive awareness. A consistently repeated narrative is that the America’s Cup event in Bermuda has been over hyped and that San Francisco is evidence that Bermuda’s event will not measure up. Longtime readers of this blog will know I prefer to examine the numbers before making any sort of conclusion so I thought I’d take a look at the evidence available regarding the San Francisco event. The San Francisco event fell significantly short of the original $1.4 billion estimate of economic impact prior to bidding for the event. Ultimately San Francisco spent $11.5 million for $364 million in economic activity, 506 jobs for San Francisco residents and 517 part time jobs for San Francisco residents equivalent to 3 weeks of work. These numbers do not include any involvement of small businesses. One of the key factors in San Francisco’s inability to live up to estimates was that it was originally expected that 15 teams would participate. The event ended up being too cost prohibitive so it ended up with only 4 in the America’s Cup final, and 8 in the world series event. San Francisco’s hotel occupancy numbers have been so high in the last few years (90%) it is believed that the America’s cup event displaced tourists who would have already come. San Francisco provided free use of city property and services that they hoped would be offset by America’s Cup fundraising to provide a positive impact on the city’s budget rather than an $11.5 million loss. Originally when the America’s Cup event was announced I was skeptical. The estimated spend I recall hearing was $60 million. Personally I have not traditionally been a big fan of mega sport events like the Olympics. They tend to run over budget, fail to meet expectations and are generally seen as more cost than benefit. They tend to be a large gamble. In the cases that we’ve done in the past like the Grand Slam events, which could have been a lot bigger if Tiger Woods had come to the island, they were nowhere as big as was hoped. There are a great many smaller initiatives we could spend our money on, namely supporting our existing business and infrastructure rather than competing with them. With that said, I should note a point of personal disclosure. My company, of which I am a part owner, has indirectly supplied and marginally benefited from the America’s Cup World Series event through one of my clients. On to my opinion. Given the review of the San Francisco report, I am of the belief that Bermuda will benefit greatly from the America’s Cup and that it was a gamble worth making. Bermuda was in a heavy economic slump with a low level of confidence. The America’s Cup event has already created jobs, driven demand and raised our profile as a destination. Unlike San Francisco which is regularly host to big events, has a booming economy and is home to world leading tourism startups like AirBnb, Bermuda is a tiny relatively unknown island nearly in the middle of nowhere that was stuck in a deep recession. Where the America’s Cup would make a tiny ripple in the economy of San Francisco, it would make a very big splash in Bermuda’s. One of the big anecdotes used to demonstrate the failure of the San Francsico event are its failure to live up to the original estimates. This is then used as a proxy to suggest Bermuda’s event won’t live up. Let’s examine these numbers in more detail to get a clearer picture of the story. It isn’t terribly difficult to verify these numbers, so points for accuracy. The SF Gate covers some of these numbers and more accurately, there is a Policy Analysis Report done by the San Francisco Budget And Legislative Analyst’s office that confirms them and other details. The summary of the report? The event cost the city $11.5 million, contributed $364 million in revenue, created 953 jobs, 506 of which were for San Francisco Residents and created part time jobs for 517 residents, equivalent to 3 weeks of full time work each. The overall conclusion of the Policy Analysis Report? Small business inclusion in event contracts should have been tracked. Ok, so to start off with, a spend of $11.5 million to generate $364 million in local economic revenue, 506 resident jobs and a whole bunch of part time work actually seems like a reasonable investment if it were anywhere other than San Francisco. San Francisco was already a booming city, host to many big events in the prior few years like a Superbowl, a Democratic National Convention and World Series baseball games. One of the core arguments was that the event was held at near a peak time for tourists so it didn’t boost things terribly and if anything, displaced tourists that were already going to be there. Let’s consider Bermuda for a moment. 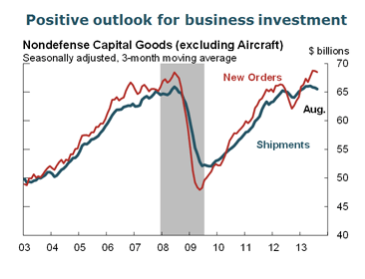 Our economy was stagnant with almost no job creation. Our tourism is still near record lows for expenditure and the “gold standard” and “platnum period” renaissance that was to revive tourism cost a fortune and was a short blip in the stats. If we end up spending $11.5 million for a creation of 506 jobs, a whole bunch of part time work and $364 million generated in the local economy as well as raising our profile as a high end destination, I’d consider that a considerable success and a significant return on investment because of the desperately needed economic boost because we’re Bermuda, not San Francisco. So why was this report so inaccurate? It was done prior to the selection of San Francisco as a host city and was done assuming 15 syndicates participating. Ultimately only 4 ended up participating in the final and 8 in the world series event. This was because the sheer cost of entry and participation that too few could manage it and thus pulled out. So, this helps explain why the America’s Cup was so adamant about changing to a smaller boat size to decrease team costs for our event. There was a lot of controversy about this with some teams defiantly pulling out and yet in the end a greater number of teams have signed up to participate in the final. If the San Francsico estimates are anything to go by, the increased participation suggests our event may be even more successful than the San Francisco one. Ok, so again, far above the final results. Yet there’s a note, the economic impact of the Pier 27 Cruise Terminal Project was included in the estimate but discounted because it was rushed for the event and deemed that it would have been built anyway. It accounted for $186 of impact, so the 901.8 million estimate would be closer to $756 million. So the estimates clearly outweighed the final results. Does that mean the event was a failure? No it doesn’t. The key deciding factor for San Francisco is that it seems they didn’t want it to cost the city anything. San Francisco wasn’t in a recession and didn’t really need to spend money to stimulate growth. Bermuda is in a completely different position where it actively needs to spend money to stimulate growth because our economy was, still is and still will be still trapped in a long standing recession that many, this writer especially, believe was far more self induced than driven by the global downturn. The impact of America’s Cup tourism on hotel occupancy was minimal. Perhaps someone would take this as an indication of failure, if they don’t have any real understanding of the difference between San Francisco and Bermuda. Let’s make it clear “San Francisco hotels generally exceeded 90 percent occupancy in 2012 and 2013”. San Francisco’s hotel occupancy numbers are so high it is believed that the America’s cup event displaced tourists who would have already come. 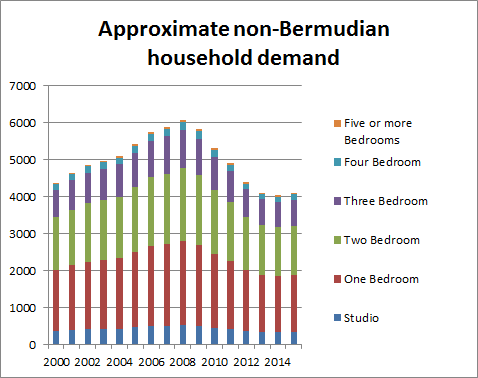 Bermuda’s occupancy rates for May/June hover at around 75% over the last 3 years and often are only that high due to promotions and discounts. 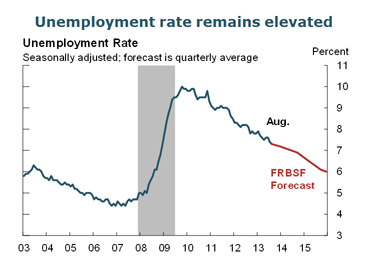 If we can get a decent boost a high rates that will have a considerably impact on our economy. Further, one of the key realizations when you attend the Tourism Summit and read the tourism reports is that Bermuda’s problem isn’t price or quality. It’s awareness. Tourists surveyed who actually come to the island don’t find Bermuda to be too expensive or not offering value for money. Tourists surveyed who haven’t come to the island are more likely to equate Bermuda’s tourism product with Jamaica’s. Jamaica has a great tourism product, but it’s completely different from our own. We need to raise awareness that we offer a high end, high quality product and tying ourselves with a high end event with considerable exposure among wealthy elitists for an expensive high society sport is perhaps, unfortunately, the perfect fit. That’s our target market, to be the Louis Vuitton of tourism, an expensive high quality brand with a name that evokes envy from those who haven’t been but wish they could and drives a smaller number of higher spending visitors. According to economic research provided by the Federal Reserve Bank of San Francisco, the San Francisco economy was mired by recession but was already past the bottom when it was bidding for the America’s Cup event. It was then in a strong recovery by the time the event happened, the stimulus wasn’t needed and as a result the $11.5 million spent likely could have been better spent elsewhere. Bermuda is in an entirely different position. We were barely at a bottom when we were bidding and our recovery has been slow and painful. That is because our recession is more locally induced than influenced by the global economic downturn. The reason being that our core industry, reinsurance, works on a different cycle than most other industries. While most other industries have been in an expansion phase over the last few years, reinsurance has been in consolidation and contraction. Too few people really understand this. This blog was sounding the horn back in 2007 that we were risking not a mass exodus of foreign workers but a quiet retreat. That’s exactly what we’ve seen. There was considerable impact on local expenditure, housing demand, retail sales. Our economy has continued to struggle because we drove out much of the foreign work force and they’ve barely trickled back. The boost that the America’s Cup has had in moving staff and teams here is largely unappreciated by those who don’t understand our economy. It was a rather quick boost that contributed to local expenditure, filled empty homes and drove up sales. That’s before we consider the impact the actual events will have. So after all this, while the San Francisco’s America’s Cup was a poor investment in unneeded stimulus, Bermuda’s is a good investment in desperately needed stimulus. Here’s hoping it truly does live up to the hype, boost awareness of our island’s tourism product, our international business potential and hopefully along the way give a bit of an uplift to people in need of work and small businesses looking to grow. The other day I made the mistake of getting caught up in comments on the Royal Gazette. One of the commenters was suggesting that they didn’t think any tourists came to the island for last year’s world series event. 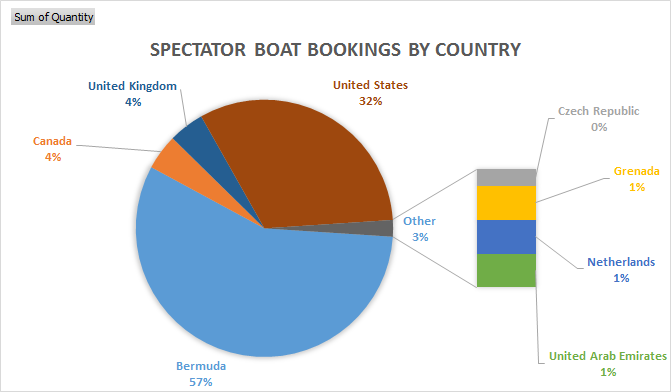 Seeing as I have the inside scoop having built the system used to book the on water spectator boats and do the registration for local boats, I took a quick look at the stats. Unfortunately I can’t say which world series event as we were denied the ability to promote ourselves as a vendor since we provide the booking solution for Island Tour Centre who managed the boats, but I’m sure you can figure out which one. Anyway, I rediscovered some fun stats in google analytics about where people booked from and thought I’d share. I wasn’t going to parse the data for just the spectator boats but I got carried away and had to export some data from google analytics and then got far too fancy with excel. Overall it was a pretty good distribution of bookings (representing 1 or more tickets) from a variety of countries with many bookings made upwards of a month in advance. It’s worth noting that this data uses google analytics, so many of the Bermuda bookings could have been made by tourists or on behalf of tourists while on island.